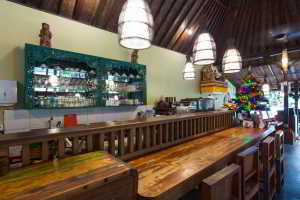 Meruhdani Guest House is situated in a heart of culturistic of Ubud which famous with thier Balinese culture, art and tradition of Balinese life form. Its a walking distrance to the Ubud Market, Palace –Puri Ubud, Art museum, monkey forest and shooping center along Ubud area. 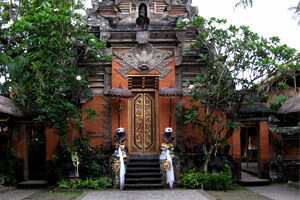 Meruhdani Guest House is endowed with a green garden in the breeze, and Balinese Home Hospitality. 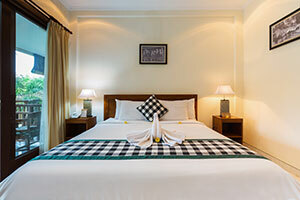 Featuring two floor with modern designed residence, have four Superior room with terace, four Deluxe room with direct access to tropical garden, direct access to main pool with relaxing pool chair. The Hotel affiliate with Radadani Spa, Beauty Salon, Semujaen Resto. Experience Balinese Hospitality in welcoming guest into Meruhdani family, we take you to explore memorable holiday experience see interaction social life of Balinese in tradition morning Ubud Market, join to attend temple ceremony, visiting the nature beaty of Ubud, rice plantation and irigation system.